Our outdoor venue has exceptional views for a lawn wedding. 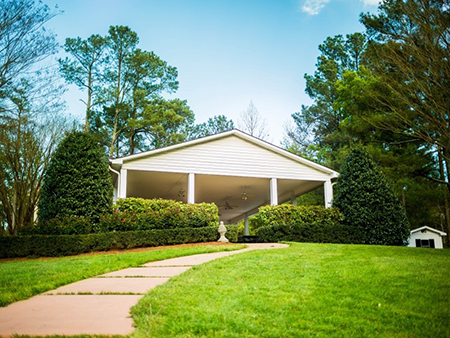 Let Camellia Gardens in Monroe, NC, create the perfect day for the beginning of your life together. 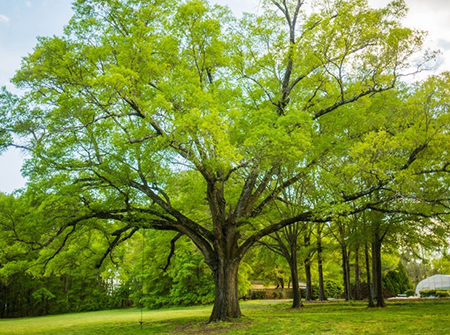 The shade of this century-old willow oak provides a cool canopy for your guests, and the lake provides an amazing backdrop for your vows. The grand oak is also an idyllic setting for a cocktail hour. 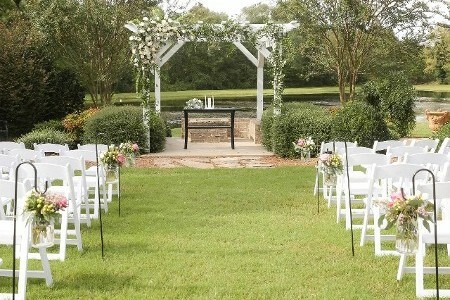 Ceremony seating accommodates up to 250 guests. Our beautiful new wedding tent provides full coverage for all of your guests in case of rain. With over 3100 square feet, we have space for a seated dinner for 200, room for your dance floor, your DJ, and all the memories of your night under the stars! No need to worry about weather spoiling your event! With walls of fragrant tea olive shrubs and rose bushes, this intimate setting is perfect for a garden ceremony with up to 150 guests or a sit-down reception for 75. The roof promises that your ceremony, reception, or cocktail hour guests stay dry in the event of rain. Originally the stable for our horses, our renovated barn is now an elegant reception hall with chandeliers, a caterer's kitchen, and a covered patio that provides seating space for 200 in total. It includes a groom's lounge and restrooms. Whether rustic or elegant in style, your reception here will be distinctive. Another open-air possibility, the terrace is a large reception area surrounded by roses, evergreen shrubs, and trees. An evening reception here is exquisite with the white pillars, copper-topped cupola, and hanging market lights that create a magical effect underneath the stars. Reception seating here can spill out onto the lawn to accommodate up to 250 guests. We have multiple sites for a lawn wedding, but we recommend the knoll overlooking the lake or the landscaped lawn with the pergola. 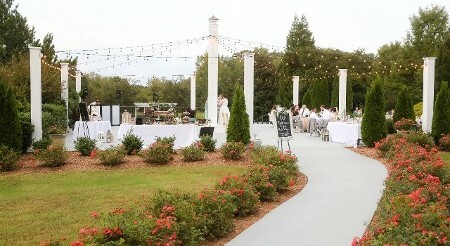 The pergola lawn also makes an intimate space for a cocktail hour if one is included in your plan. Ceremony seating here accommodates up to 250 guests. Our pristine lake provides a magnificent backdrop for your ceremony, and with views of the lake from most venues on our property, it's sure to enhance your wedding day.